Brain volume loss (BVL) is a key outcome in multiple sclerosis (MS) trials. Natalizumab is highly effective on inflammation with moderate impact on atrophy. OBJECTIVE:To explore BVL in patients receiving natalizumab with an emphasis on grey matter (GM). METHODS:We performed a retrospective post hoc analysis of BVL in 38 patients receiving natalizumab for 3 years using longitudinal voxel-based morphometry (VBM) and FreeSurfer. RESULTS:Significant BVL was observed during first year: brain parenchymal fraction (BPF): -1.12% (p < 0.001); white matter fraction (WMF): -0.9% (p = 0.001); grey matter fraction (GMF): -1.28% (p = 0.002). GM loss was found using VBM in bilateral cerebellum, cingulum, left > right fronto-parietal cortex, right > left hippocampus and left caudate. FreeSurfer showed significant volume losses in subcortical GM, brainstem and cerebellum, and cortical thinning in the left insula. In the second year, only WMF decrease (-0.6%; p = 0.015) was observed with no VBM changes, although FreeSurfer detected significant volume loss in thalamus, hippocampus and cerebellum. Baseline gadolinium enhancement influenced WMF and BPF changes during the first year, but not GMF. Patients with confirmed Expanded Disability Status Scale (EDSS) worsening at 3 years had lower baseline GMF and left thalamus volume and greater BVL over follow-up. CONCLUSION:BVL develops mainly during the first year of natalizumab therapy. GM changes are independent of baseline inflammation and correlate with disability. Nataliziumab inhibits the development of inflammation but seemingly there is alot of brain volume loss in the first year after natalizumab treatment. Why? Inflammation causes swelling and if you block inflammation that the swelling will go down and the brain will apear to strink, which is called pseudoatrophy. So without taking this into account, imaging creates a confusing picture…so nothing new then:-). But what this group gets at is that people on natalizumab who do not do well on the drug, possibility those with progressive MS (which does not respond to natalizumab) underlying their relapsing MS (which does respond), still tend to loose grey matter. So there is nothing new here as we already know that measuring grey matter atrophy is less sensitive to artifacts than whole brain and white matter atrophy measures. Possibilty because there is less inflammation and less swelling in the grey matter. Likewise there is nothing new about the observations in white matter. However it does go to show the problems present on using this outcome to measure benefit…yet it is a mainstay in MS trials. However what it says is that if you are going to use imaging as an endpoint as a marker of value then you need to “re-baseline” after about a year because without doing this you get the false idea that your drug doesn’t work against atrophy. essentially threw away sodium channel blockers as a potential neuroprotective drug after all the animal work supporting their use. This is because the brain shrank alot during year one and stabiliesed by year 1 to 2. 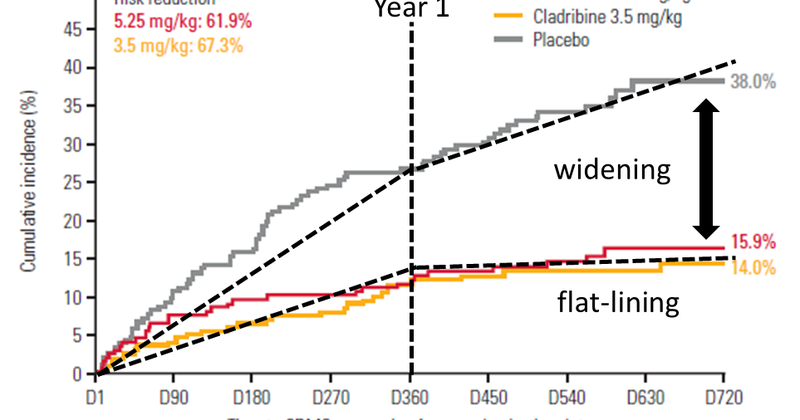 Much more than the placebo in year one but at a slower rate than placebo at year two.Many Neuros today and others reading this blog today still think this trial failed. Luckily NeuroDocG measured neurofilaments in this group and found two things (a) People were not taking their drug-probably because of unwanted side-effects which are actually a problem with these drugs and (b) if you were taking the drugs the drug was working to save brain as ther were less neurofilaments being produced in the biological fluids meaning less nerves were being damaged. So this says you need to rebaseline after one year MRI. 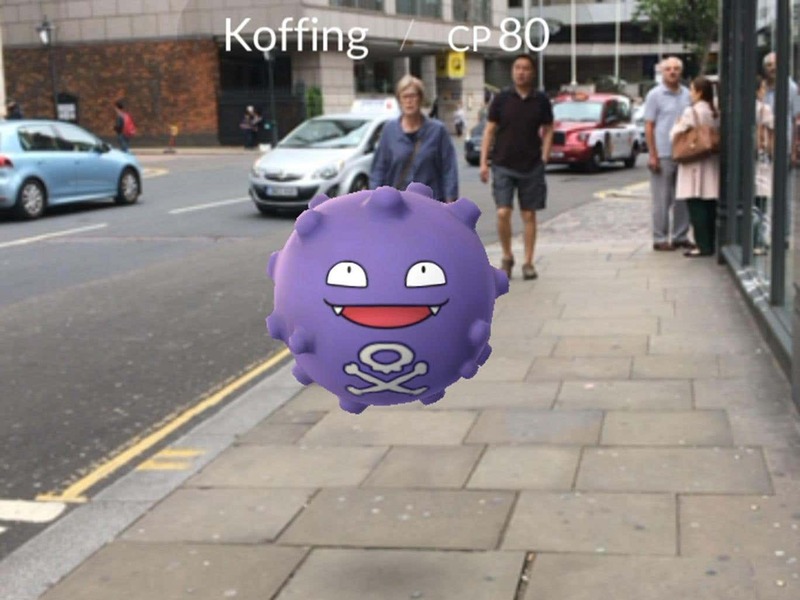 Once ProfG gets back from his “PokémonGo” trip he will be getting ready to show you new data based on rebaselining when he heads off to the next MS meeting. Rebaselining has become a feature of the ocrelizumab trial because some neuros learn from other neuros mistakes and can see that relapses and disease activity that are/is happening or is about to happen cannot be stopped by the drugs. The drugs take a few months to work to their optimum. So why not plan to do the analysis of baselined data rather than be shackled by less effective data because you compare your outcome to onset of treatment. So maybe this will become the new norm that trial data is baselined. Thank you for this MD, clarifies it for me. Can I ask – from the data we have so far, is there any consensus among researchers on which DMD most substantially/consistently reduces BVL? I'm sure that I've read somewhere before that alemtuzumab generally shows the best results in terms of reducing BVL but I can't remember where I read this and it's hard to find clear/comparable data between DMDs. Would you or your colleagues generally tend to see alemtuzumab as the 'best performer' in this specific metric? And finally does any bvl data about the potencially new drug? BVL seems to be the most important aspect of further disability.